Spain! It has a great team right now! Congratz to hosts for a nice win, but this was simply a disaster match from KSA. So much undiscipline, por passes.. I really dont see how they managed to qualify. Those back 2 defenders are quality of Croatian 2nd league.. Even there they would struggle to be first team players. And whats with the rest of Asia if this got direct qualification. How about predictions for today's matches? Hope today Spain will win, but I think removing Lopetegi was bad move and that this is gona refelct on first game, and the strongest opponent of them all - Portugal. @specialone Yeah, he didn't saw CR7 diving for the penalti either so... I really think that Portugal can't complain about anything. Spain danced on Portugal and only Ronaldo saved them because he really seized his oportunities, with De Gea's help, of course. Ronaldo hits the deck as easily as Costa, so I think it kind of equals out. Espec. as Costa is built like a tank. As a neutral, I do not think Spain outplayed (danced) on Portugal. It was a clever balance of counterattack from Portugal against the build-up play of Spain. Passing and retaining possession does not always work, I thought Portugal were quite good at closing down and playing without the ball. 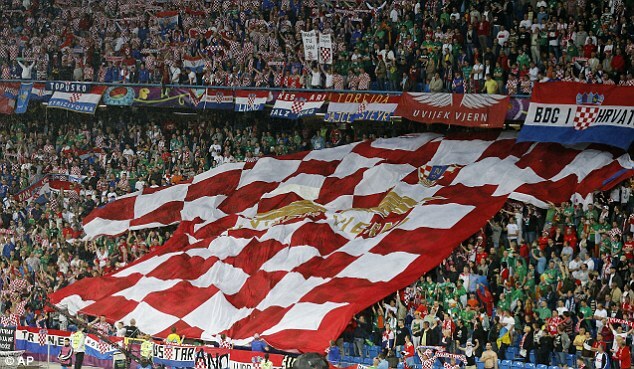 Matchday for Croatia! COme on boys, make us proud! As UFC World Champ, Stipe Miocic says, LETS GO! Was not such great match for neutrals as the play was bit more tactical than eye candy, but I dont care, 3 points are here and thats most importan! Top of the group infront of Argentina, now it would be fantastic If we manage not to lose in 2nd game vs Argentina, that will be big step towards knockout stages and top of the group. Lets go VATRENI! Serbia won 1:0 with an amazing free-cick goal. Fantastic. And i am glad some russians turned upside down their flags and suported Serbia today. I feel like we are playing home. I'm glad Germany lost vs Mexico! Mexico could be dark horses this year!